The global infusion pump software market is projected to reach 1,044 million by 2024 from USD 742 million in 2019 at a CAGR of 7.1%. Growth in the infusion pump software market can be attributed to factors such as increasing incidence of chronic diseases, along with rapid growth in the geriatric population, growing number of surgical procedures performed, rising demand for ambulatory and home care infusion pumps, and technological developments. However, frequent product recalls of infusion pumps may restrain the market to a certain extent. On the basis of end user, the infusion pump software market is segmented into hospitals, ambulatory care settings, home care settings, and academic & research institutes. The home care settings segment is expected to grow at the highest rate during the forecast period. The high growth of this segment can be attributed to factors such as increasing preference for treatment at one’s convenience and the advantage of home infusion being highly cost effective. The major players in the market include BD (US), B. Braun (Germany), Baxter (US), ICU Medical (US), Terumo Medical (Japan), Fresenius Kabi (Germany), Moog (US), F. Hoffmann-La Roche (Switzerland), Ypsomed (Switzerland), Medtronic (Ireland), Smiths Medical (US), and Micrel Medical Devices (Greece). This report studies the infusion pump software market based on type, end user, indication, and region. The report also studies factors (such as drivers, restraints, opportunities, and challenges) affecting market growth. It analyzes the opportunities and challenges in the market and provides details of the competitive landscape for market leaders. Furthermore, the report analyzes micromarkets with respect to their individual growth trends and forecasts the revenue of the market segments with respect to four main regions and respective countries. 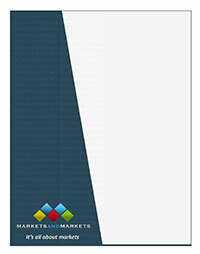 This report focuses on various levels of analysis industry trends, market share of top players, and company profiles, which together form basic views and analyze the competitive landscape, emerging segments of the infusion pump software market, and high-growth regions and their drivers, restraints, challenges, and opportunities. The report will help both established firms as well as new entrants/smaller firms to gauge the pulse of the market and garner greater market shares.